The idea of quality over quantity seems simple and straightforward. Buying something of better quality is a worthy investment and better than the alternative of buying multiple cheap imitation items that are ultimately a waste of money when the products don't last. However, many consumers put price above everything else, which is why they are purchasing “throw away” items produced by fast fashion brands. But, when the seasons change and the trends die out, what happens to the sad, shrunken leftovers? It would be nice to think that these pieces are recycled and that they live a long, happy life in someone else’s closet, but this is rarely the case. The garments are thrown out and left to sit in landfills for years to come, which is an issue many people choose to overlook. When we become more conscious of our purchases we create a positive alignment between quality and the overall cost of a garment. Quality is a backbone of Edie and how we choose to source and produce each piece of clothing. Below are two key things to consider when purchasing your next piece of clothing that will help you become a more savvy shopper! When purchasing a product, quality is often reflected in price. Why? Because cost is the overall effect of sourcing, producing, and selling. For conscious commerce brands, investing in fair labor standards and better materials is non-negotiable. At Edie, our American-made products help support jobs and the economy. The price may seem higher, but the investment is worth it when you can get continuous use of transitional staples and know that you are supporting jobs here at home. Choosing to buy better quality items is a more eco-conscious way to shop. Our products are meant to last, which allows you to shop less and create less waste. American production follows stricter regulations to ensure environmental safety, unlike foreign competitors. 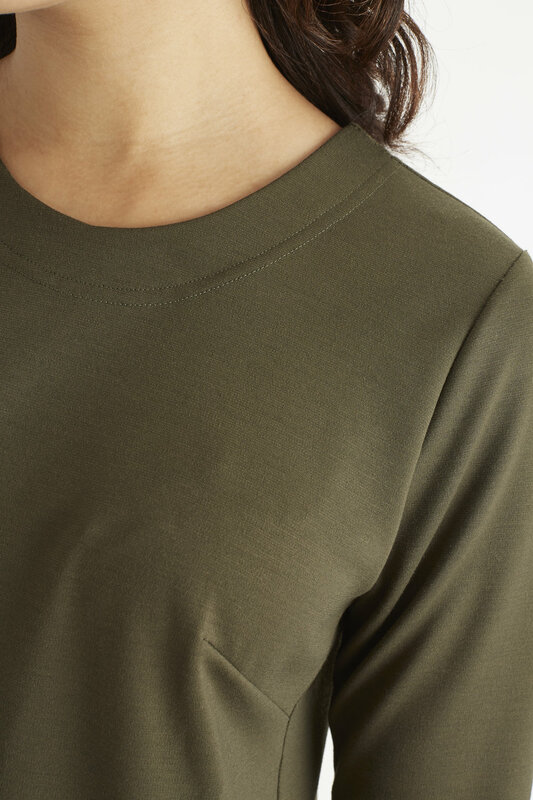 Sustainable fabrics like bamboo are natural resources that are grown without the use of pesticides or fertilizes, which minimizes the effect of production on the environment. All purchases have an effect that we may sometimes not fully comprehend. As such, at Edie, we are invested in the responsibility of making eco-conscious, quality products and also bringing awareness to our customers. Emma Phillips is Edie's fashion and lifestyle blogger, based in Pittsburgh, PA. She graduated from Indiana University of Pennsylvania with a Bachelor's degree in Fashion Merchandising. Emma has a love for astrology and all things green. She spends her time watching her favorite YouTube vloggers, taking polaroid pictures, and reading.